WordPress website for Helena College in the Perth Hills. An earthy feel, emphasising the school’s beautiful natural bush setting and wide range of programs. 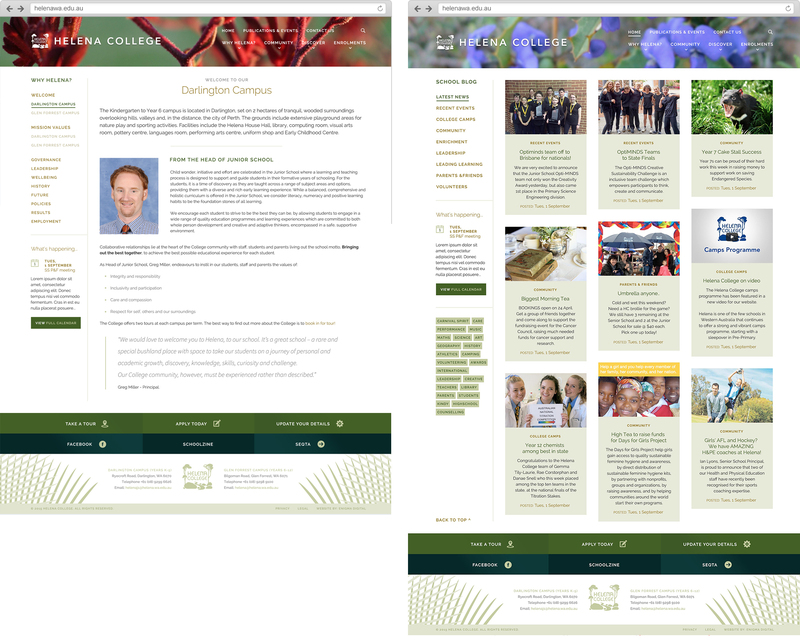 We also built several internal sites for the school’s online newsletter.